Available in different shapes, sizes, and metals. 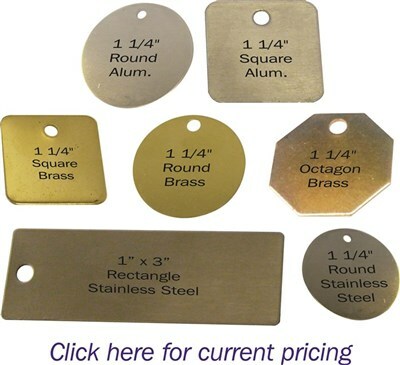 We stock Alum, Brass and Stainless Steel tags. don't have what you need as a stock product. Customization of your tags can be done by us. We use three basic methods of marking tags. grey to black mark permanently on the tag. questions or need our help with something.